In December, NOPP continued processing and reviewing proposals submitted in response to the 2018 BAA. 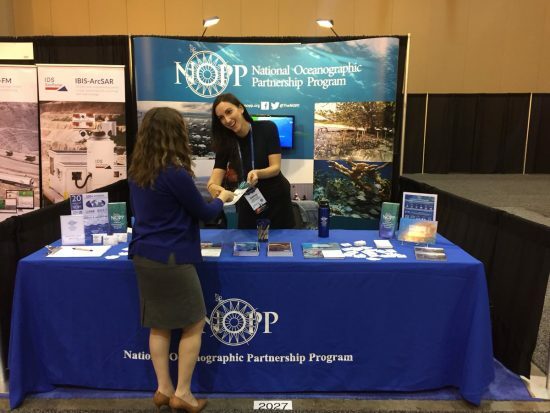 Staff members from the NOPP Office exhibited at the 2017 AGU Fall Meeting in New Orleans, Louisiana. The NOPP booth will be exhibiting at the 2018 Ocean Sciences Meeting in February. Please stop by for new NOPP literature and information about the program. To stay informed on interesting ocean news and research, follow us on Facebook, Twitter, and Instagram.